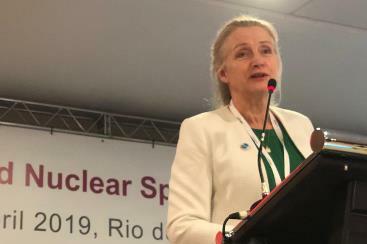 Politicians and nuclear energy leaders have highlighted how excellent nuclear performance is contributing to meeting global energy and climate goals, during World Nuclear Spotlight Brazil, in Rio de Janeiro. A panel of energy experts have highlighted the important role nuclear energy has to play in combating climate change and have called on negotiators to enable all low carbon technologies to fulfil their full potential. Agneta Rising, World Nuclear Association Director General, will be speaking on 6 December at a COP24 side-event organised by the Nuclear Innovation: Clean Energy Future initiative, which was established in 2018 at the ninth Clean Energy Ministerial meeting. Wholesale electricity prices across Europe have recorded an unprecedented increase between 2017 and 2018, and could have a significant negative impact on European economies. Interestingly, in France, a country where nuclear accounts for a major share of the energy mix, the rise in prices has been lower (+32%). This compares to Germany - currently phasing out nuclear - where the rise has been significantly higher (+87%). 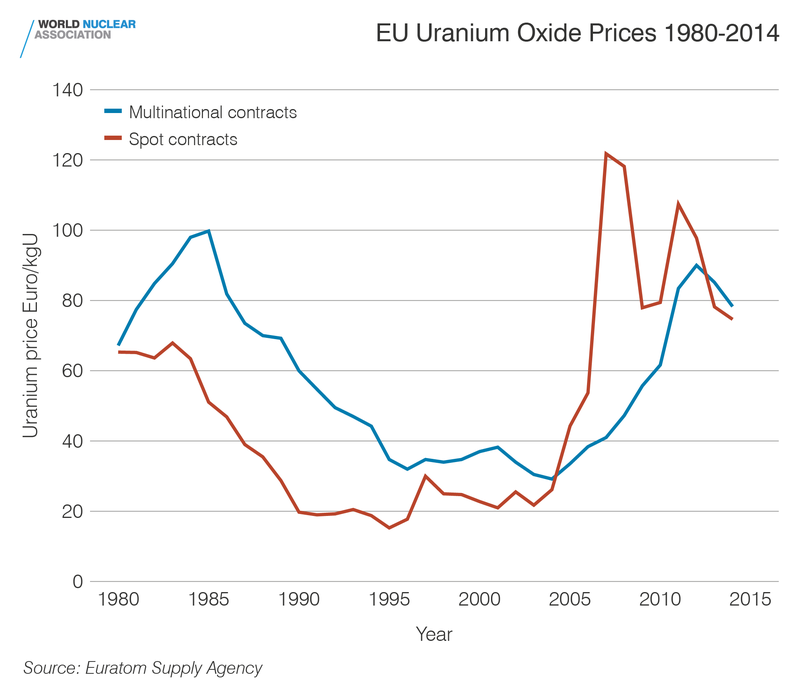 Having nuclear as part of the energy mix helps to stabilise electricity prices as its fuel source, uranium, is abundantly available and its price has little impact on production costs. 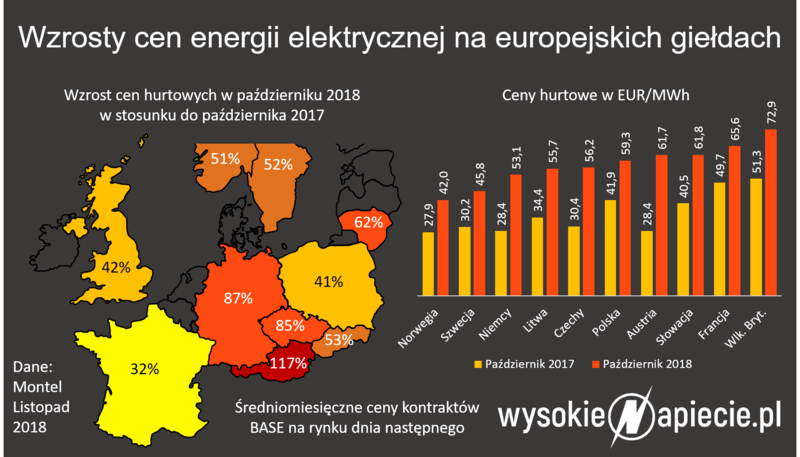 Poland plans to develop nuclear energy as part of its future energy system, according to Krzysztof Tchórzewski, the Polish Minister of Energy, because it is low-cost, low-carbon and creates high-value jobs. The Minister was speaking at the inaugural World Nuclear Spotlight Poland conference in Warsaw – a high-level event which brought together Polish decision makers and global nuclear industry leaders and stakeholders. Preparations are underway for the restart of the Sendai 1 reactor in Japan. Sendai 1 is a pressurized water reactor (PWR) sited on the southwest coast of Kyushu, the third largest island of Japan. It is owned and operated by the Kyushu Electric Power Company. The World Nuclear Association has published reports on nuclear fuel supply and demand at roughly two yearly intervals. The report published today is the 17th in the series and extends the forecasting period to 2035. 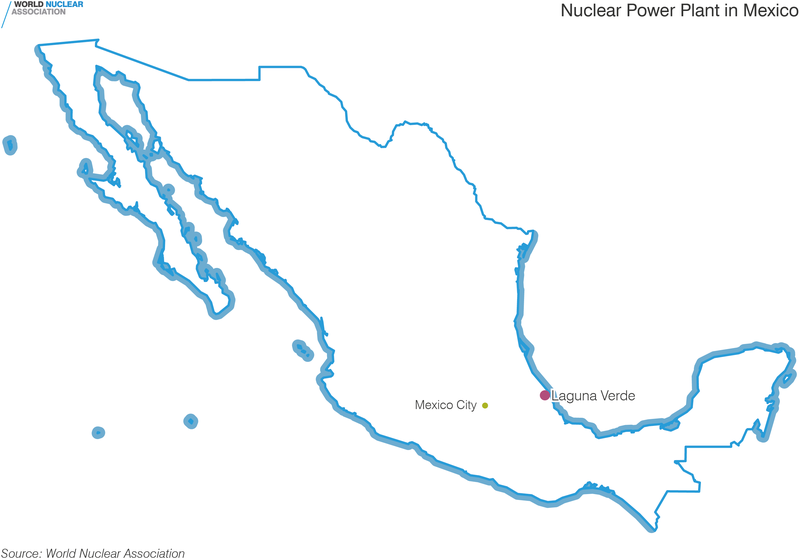 It includes scenarios covering a range of possibilities for nuclear power. The World Nuclear Association has made two submissions to the South Australian Nuclear Fuel Cycle Royal Commission, one on the subject of nuclear power generation and the other on nuclear wastes. The action taken today by the Austrian government is supposedly to challenge the decision by the European Commission to approve the Contract for Difference mechanism proposed for Hinkley Point C. However, the true motivation of the action was revealed by Austrian Federal Chancellor Werner Faymann, who last week issued a statement saying: "This is a further important step in our anti-nuclear policy, whose long-term objective is a nuclear-free Europe." The Global Apollo Programme Report has the objective of making carbon-free baseload electricity less costly than coal within ten years. Nuclear generation working with renewables has already allowed countries such as France and Sweden to achieve the goals of this report. Korea Hydro and Nuclear Power has started up its new Shin Kori 4 reactor and plans to connect it to the electricity grid at the end of this month. It is the second APR-1400 design unit to start up of a planned global fleet of at least 10. The US Department of Commerce on 15 April submitted to the White House the results of an investigation into the effects of uranium imports on US national security. US President Donald Trump now has up to 90 days to decide whether to act on the DOC's findings and recommendations, which have not been made public. A prefeasibility study for Fission Uranium Corp's Patterson Lake South uranium property includes the first announcement of mineral reserves for the site in Canada's Athabasca Basin. Entergy Corp has agreed to sell the Indian Point Energy Center to a subsidiary of Holtec International following the shut-down of the final reactor at the site, which is planned for 2021. Holtec-SNC Lavalin joint venture Comprehensive Decommissioning Inc will decommission the plant on an accelerated timescale. 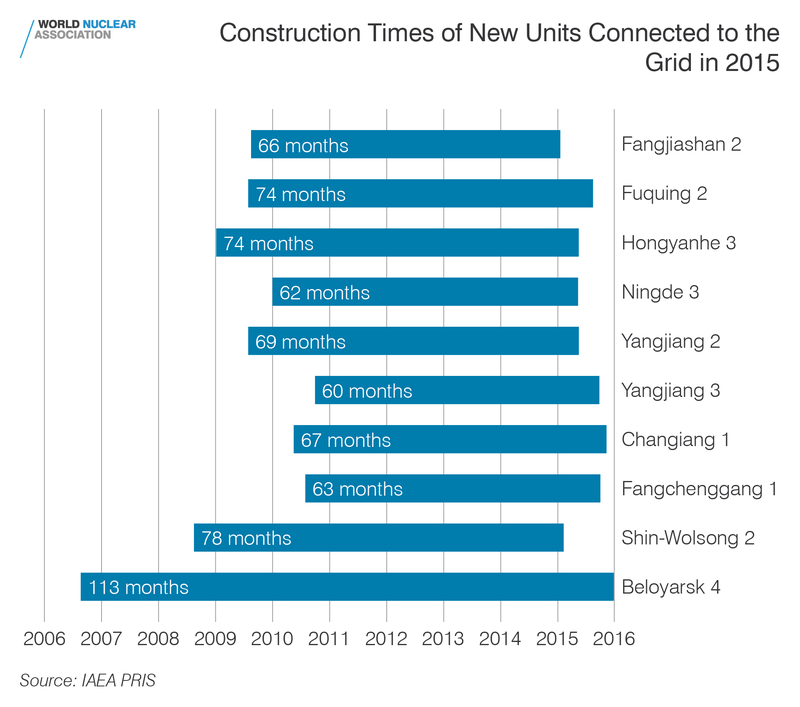 In a first for the country, China has uprated its oldest power reactor, Qinshan 1, to 350 MWe (net) from its original 300 MWe. China National Nuclear Corporation said the engineering work "has important reference significance for the power enhancement of subsequent power stations, and plays an exemplary role in the life management of domestic nuclear power plants". Germany's PreussenElektra has placed an order for 12 CASTOR used fuel transport and storage casks with GNS Gesellschaft für Nuklear-Service. The supplier said the deal was worth "well over" EUR20 million (USD22.6 million). Nuclear energy has a role to play in all 17 of the Sustainable Development Goals (SDGs) adopted in 2015 by the United Nations, delegates heard yesterday at the opening ceremony of the XI International Forum Atomexpo 2019 being held this week in Sochi, Russia. Alexey Likhachov, director general of Russian state nuclear corporation Rosatom, thus stressed the motto of this year's event: 'Nuclear for better life'. A draft law that would provide clean energy credits to zero-emission power producers, including nuclear plants, has been introduced to the Ohio legislature. Meanwhile, the US Supreme Court has rejected appeals challenging zero emissions credit programmes in Illinois and New York. The reactor core of Darlington 2 in Canada has now been rebuilt, owner and operator Ontario Power Generation has announced, celebrating the installation of all its fuel channels. It is the first in a programme of ten reactor refurbishments. Slovakia's new reactor Mochovce 3 has successfully completed hot testing. Owner Slovenské Elektrárne said the plant could be ready for fuel loading this summer, although it will then have to wait for regulatory approval which could take up to eight months. Main construction work for the second unit at Kursk II in Russia has begun two weeks ahead of schedule. The site in Western Russia is the first to use the VVER-TOI (typical optimised, with enhanced information) reactor design. Japanese prime minister Shinzo Abe visited the Fukushima Daiichi site today as the process to remove used fuel from unit 3 officially began. It has taken several years for Tepco to remove debris from the reactor building service floor and prepare for this work to reduce the hazard at the accident site. Germany's nuclear safety regime is strong and can be improved further, a team of international inspectors has concluded following a two-week mission to review the country's regulatory framework. Yellow Cake plc is to purchase 1.175 million pounds of uranium (45 tU) from KazAtomProm under an existing framework agreement after raising GBP25.9 million (USD33.9 million) through a share placement. Personnel from the US Department of Energy's Office of Environmental Management working at Idaho National Laboratory are using new technology to perform in-situ characterisation of the contents of hundreds of radioactive waste containers prior to shipment for permanent disposal. Unit 2 of the Novovoronezh II nuclear power plant in southwest Russia started the process of physical launch yesterday after having received regulatory approval to do so, Rosenergoatom, the operator subsidiary of state nuclear corporation Rosatom, has announced. All countries in Europe have a common interest in ensuring that radioactive waste management is done in a way that guarantees safety and security today and also in the long term, writes Charles McCombie, president of Arius Association. The Swedish Radiation Safety Authority (SSM) has launched an international procurement process for the design of facilities to manage legacy radioactive waste in Georgia. The SSM is coordinating the two-year EU project as well as providing one-sixth of the EUR1 million (USD1.1 million) funding. The second of three steam generators at China's forthcoming Tianwan 6 nuclear power unit has been installed, completing a 12-day process that involved bringing the component through a hatch and rotating to a vertical position. Framatome has upgraded its Ugine nuclear alloy plant with an additional EUR 12.6 million (USD14.2 million) vacuum arc remelting furnace. Metal alloys made at Ugine are manufactured into components used in reactor cores around the world. The UK’s Nuclear Innovation & Research Advisory Board has recommended that the government should consider investing up to GBP1 billion (USD1.3 billion) between 2021 and 2025 to boost the progress of innovation in the nuclear energy sector. Egypt's Nuclear Power Plants Authority has received a site approval permit for the El Dabaa site from the Egyptian Nuclear Regulation and Radiological Authority . The permit acknowledges that the site and its specific conditions comply with national and international requirements. Some residents of Okuma, the closest town to the Fukushima Daiichi plant, have today been allowed to return home. The evacuation order issued in 2011 has been lifted for the more mountainous and less inhabited western area, where around 380 of the town's former population of 10,500 lived. Orano TN's NUHOMS dry storage systems will be allowed to store used nuclear fuel with significantly shorter cooling times and higher decay heat under licensing amendments approved by the US Nuclear Regulatory Commission. The government of Niger and GoviEx have agreed on a framework to develop jointly GoviEx's Madaouela uranium project that will see the government purchase a second 10% share. Uzbekistan has initiated the process to choose a site for its first nuclear power plant and aims to grant a site licence in September 2020, local officials have confirmed to the International Atomic Energy Agency. Uzbekistan is among about 30 countries that are considering, planning or actively working to include nuclear power into their energy mix. EDF has agreed to sell its stake in Swiss nuclear utility Alpiq to the company's other major shareholders, who intend to take it private. The price for EDF's 25.04% share is CHF489 million (USD489.2 million). Unit 1 of the first nuclear power plant to be built in Belarus has started the commissioning phase, AtomStroyExport, the engineering subsidiary of Russian state nuclear corporation Rosatom, has announced. Japan's leading business group has called for accelerated restarts of reactors, with the years spent offline to be added back onto their lifespans. The Japan Business Federation called for clarity in energy policy beyond 2030 to support development of the power sector to reflect significant social change. Exelon Generation has filed its detailed plan for decommissioning unit 1 at Three Mile Island in Pennsyvlania, but says the plant will remain in operation if the state enacts a policy solution to preserve nuclear capacity.